-----Wrinkles are the visual history of a person. We earn those smile or frown wrinkles and they add character to a face. 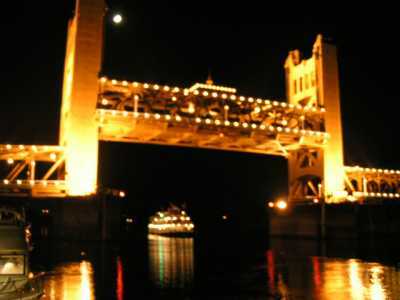 -----So it is, we believe, with bridges. They record the history of a region or a river. 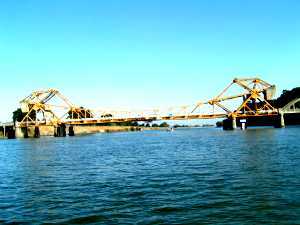 We were surprised by the variety and the beauty of the bridges in the California Delta. They are a fine representation of the past in this colorful region. 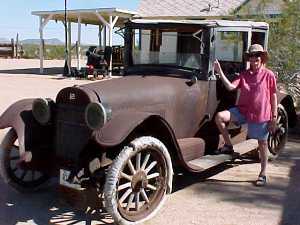 -----Automobiles moved people fast. Cars and trucks required good roads, hard to build on the sponge-like peat-rich soils on the Delta. 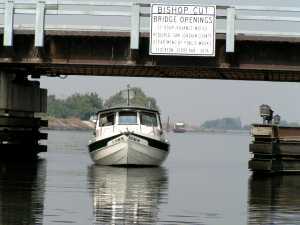 Folks also lost patience waiting for a ferry to carry them across sloughs and rivers. 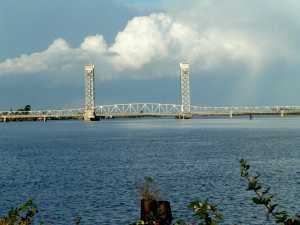 They demanded bridges, also difficult to construct in an area prone to flooding and where tall steam and sailboats plied the waterways. Bridges had to either be high enough to clear the river traffic or be able to lift or swing out of the way. 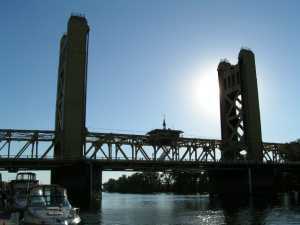 -----One of the first bridges built is the I Street Bridge in Sacramento. 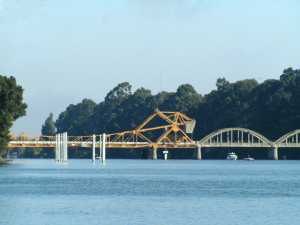 It was built as a toll bridge in 1858, and swung on a roundtable of bearings and wheels. 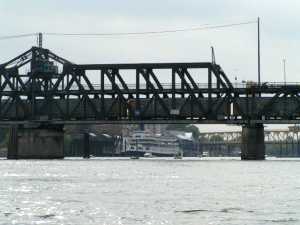 Several new bridges have been built on the site, for railroad trains and cars, the most recent completed in 1912. 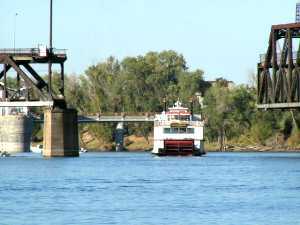 The competition between railroads and steamboats was never more evident than at bridges, and fights often broke out when either trains or steamboats were seen to be unfairly detained. Swing It, Mister! - or Else! 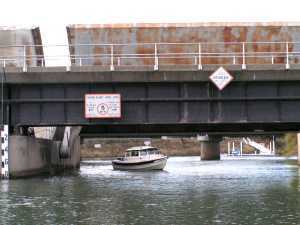 ----- · Swing bridges - these pivot around a central turntable, and rotate out of the way of boat traffic. 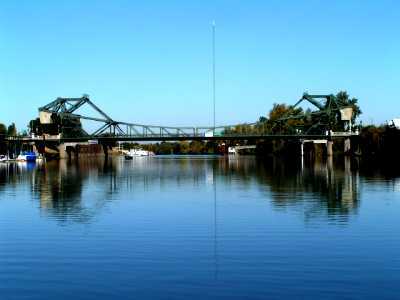 ----- · Bascule bridges - this word comes from the French, and means something like see-saw or teeter-totter. 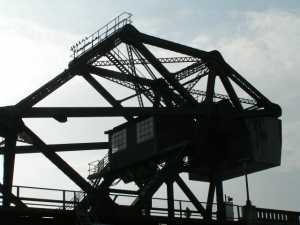 A large counterweight almost exactly balances the weight of the bridge, so very little energy is required to lift the span. 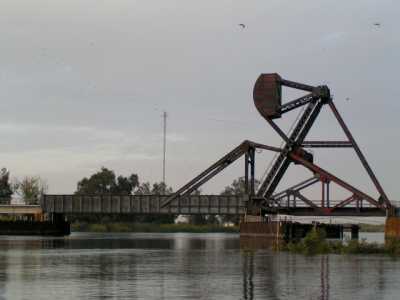 Some of the bridges on the Delta are double bascules, and most impressive! 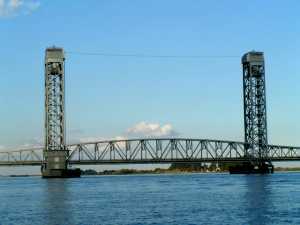 ----- · Vertical Lift bridges - these have high towers that contain massive counterweights and drop as the bridge lifts, also demanding little energy. 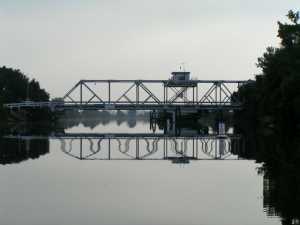 -----As autos and trucks became the dominant transport mode on the Delta, bridges replaced ferries one by one. 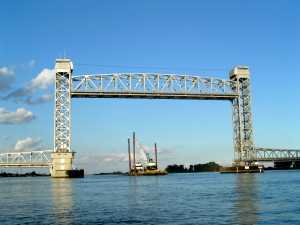 Today, there are 29 bridges spanning the watercourses of the Delta, most are swing or bascule bridges. On our cruise, even with our low boat, we checked their vertical clearance (one bridge we could only get under at low tide). Many required dropping the VHF antenna. Low Bridge - Everybody Down!